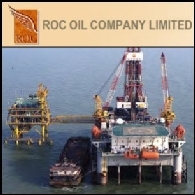 PetroChina Company Limited (PetroChina) is a producer of crude oil and natural gas in China. 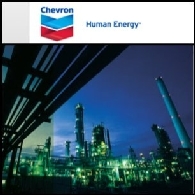 The Company is engaged in a range of petroleum and natural gas related activities, including the exploration, development, production and sale of crude oil and natural gas; the refining, transportation, storage and marketing of crude oil and petroleum products; the production and marketing of basic petrochemical products, derivative chemical products and other chemical products, and the transmission and storage of crude oil, refined products and natural gas, as well as the sale of natural gas. 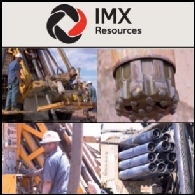 Substantially all of its crude oil and natural gas reserves and production-related assets are located in China. 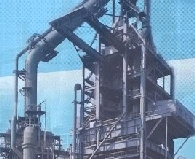 During the year ended December 31, 2007, PetroChina completed the acquisition of the remaining interest in Jinzhou Petrochemical Co., Ltd. (Jinzhou Petrochemical), Liaohe Jinma Oilfield Co., Ltd. (Liaohe Jinma) and Jilin Chemical Industrial Company Limited (Jilin Chemical). 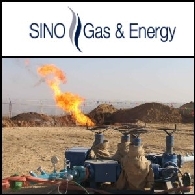 Sino Gas & Energy Holdings Limited (ASX:SEH), an Australian company developing unconventional gas assets within the Ordos Basin, Shanxi Province China, is pleased to confirm the commencement of its 2011 well testing program on the Linxing Production Sharing Contract (PSC). 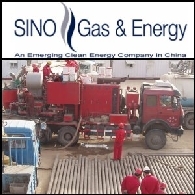 Sino Gas & Energy Holdings Limited (ASX:SEH), an Australian Company focused on developing Chinese Gas Assets, is pleased to announce that it has signed a Joint Gas Marketing Agreement with PetroChina (SHA:601857) (HKG:0857) (NYSE:PTR). 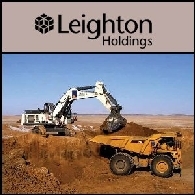 Sino Gas & Energy Holdings Limited (ASX:SEH) is pleased to release Chairman&apos;s Address to the Annual General Meeting to be held in Perth, Western Australia. 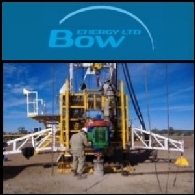 Bow Energy Limited (ASX:BOW) (PINK:BOWYF) are pleased to provide an update on exploration, appraisal and pilot production program in Bow&apos;s Bowen Basin CSG tenements. So far this year, Bow operations have been delayed over three months due to wet weather, which resulted in limited access, unsafe conditions and unscheduled delays in our reserves certification. Regardless, Bow&apos;s aggressive drilling and testing programs scheduled over the current quarter are targeting to deliver upon Bow&apos;s continued reserve upgrades from early next year. 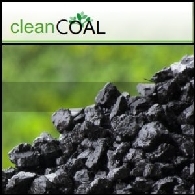 Supported by National Energy Administration, IEA Clean Coal Centre and Carbon Capture & Storage Association, World Clean Coal Week China Focus 2010 will be held on Nov. 29-Dec.3 in Beijing, China. 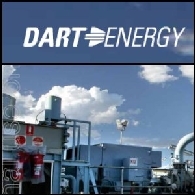 Shares in Dart Energy Ltd (ASX:DTE) are scheduled to commence trading Thursday on a deferred settlement basis on ASX, with up to 367 million shares on issue. 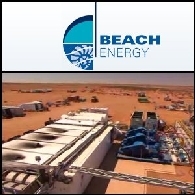 Beach Energy Limited (ASX:BPT) releases Letter To Shareholders from chairman Bob Kennedy, June 2010. 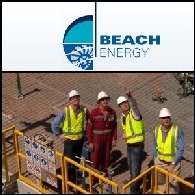 Beach Energy Limited (ASX:BPT) (PINK:BEPTF) provides the following guidance in relation to its forecast underlying Net Profit after Tax ("NPAT") for the financial year ended 30 June 2010. On early estimates, Beach currently expects to make an underlying NPAT of between A$30 million to A$40 million. The Australian market Thursday delivered a strong opening, supported by optimism towards the US economy. The catalyst for the jump was the better-than-expected figures in pending home sales in the US, which pushed Wall Street higher overnight. 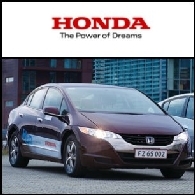 The local market had been in a negative territory for three consecutive days this week. The S&P/ASX 200 index today rebounded with a 1.8 per cent jump in early trade. 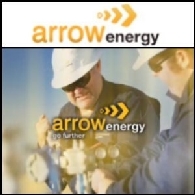 Arrow Energy Limited (ASX:AOE) said its subsidiary Arrow Energy (Dajing) Pte Ltd has signed a 30 year production sharing contract (PSC) with Chinese energy giant PetroChina (NYSE:PTR) (HKG:0857) (SHA:601857) for the Dajing block in China. Asian shares are set for a weak start on Monday after US markets fell on lower commodities prices and Greek debt concerns. Japanese market today is closed for Vernal Equinox Day. Most Asian markets gained on Friday. Japan&apos;s Nikkei index rose 0.8 per cent while weakness in yen boosted exporters. 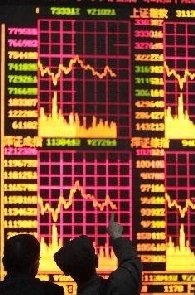 China&apos;s Shanghai Composite was also higher, with Alunimium Corp of China surged 10 per cent on Friday. Hong Kong&apos;s Hang Seng Index was up 0.2 per cent and South Korea&apos;s Kospi climbed 0.7 per cent. A cautious start is expected in Asian markets Tuesday while Wall Street took a breather after recent gains and closed slightly lower overnight. 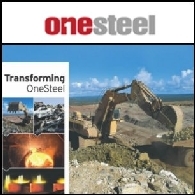 Asian stocks rallied on Monday, led by resources sector which was helped by higher commodities prices. 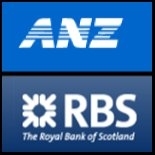 Australian market posted a seventh consecutive day of gains yesterday. 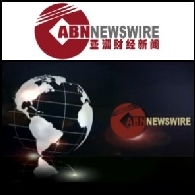 Japan&apos;s Nikkei 225 surged 2.1 per cent, Hong Kong&apos;s Hang Seng Index advanced nearly 2 per cent, South Korea&apos;s Kospi was up 1.56 per cent and China&apos;s Shanghai Composite gained 0.7 per cent. Wall Street rose on Friday led by technology shares after Oracle and BlackBerry maker Research In Motion posted better-than-expected quarterly earnings reports. 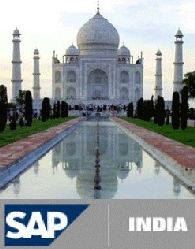 For the week, the Dow fell 1.3 per cent, the S&P trimmed 0.3 per cent and the Nasdaq rose 1 per cent. 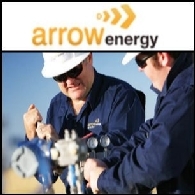 Chevron Australia Ltd has signed gas deals worth A$70 billion to sell liquefied natural gas (LNG) to Japan and South Korea, the world&apos;s two largest LNG import markets. Most Asian markets opened firmer Thursday following Wall Street&apos;s rebound overnight lifted by better-than-expected economic figures. Most Asian markets ended lower Thursday, giving up gains from the previous session. Japan&apos;s Nikkei 225 finished down 2.4% as exporters were hit by the stronger yen. Other major indexes including China&apos;s Shanghai Composite, Hong Kong&apos;s Hang Seng Index and South Korea&apos;s Kospi ended with rather small changes as investors were not confident to the economic outlook and waiting for a clear picture. Asian markets ended higher on Wednesday. 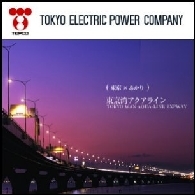 Tokyo stocks jumped 2.7% as yen&apos;s weakness boosted the Japanese exporters. South Korea and China markets delivered a modest rise of 0.3% each. Hong Kong&apos;s Hang Seng surged 1.6%.